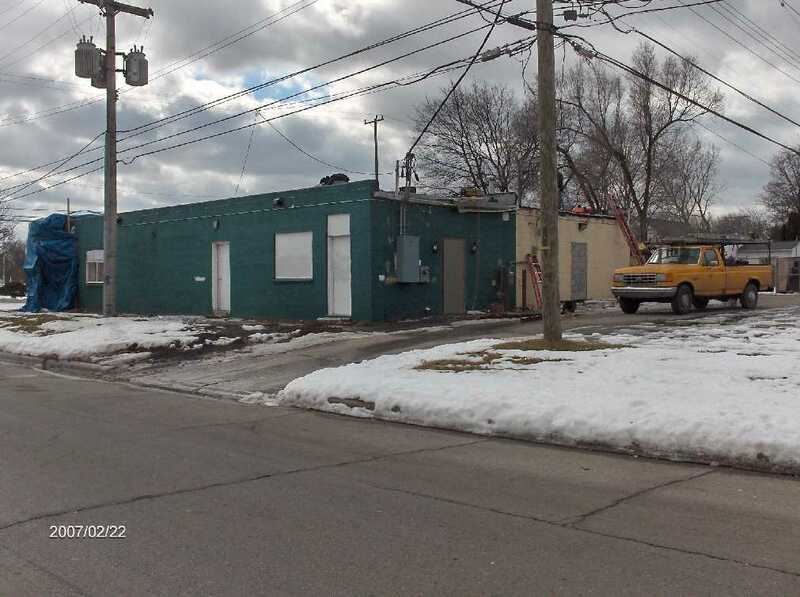 In my last post of Feb-22-2007, we looked at New-Face-Brick-Work-for-Ramez-Rasho-and-Senan-Sesi-Party-Store-on-Wick-Road-in-Taylor-Michigan. When I was on the project site on Feb-22-2007, roof work was in progress.I talked about brick layer being getting ready to lay the face-brick. 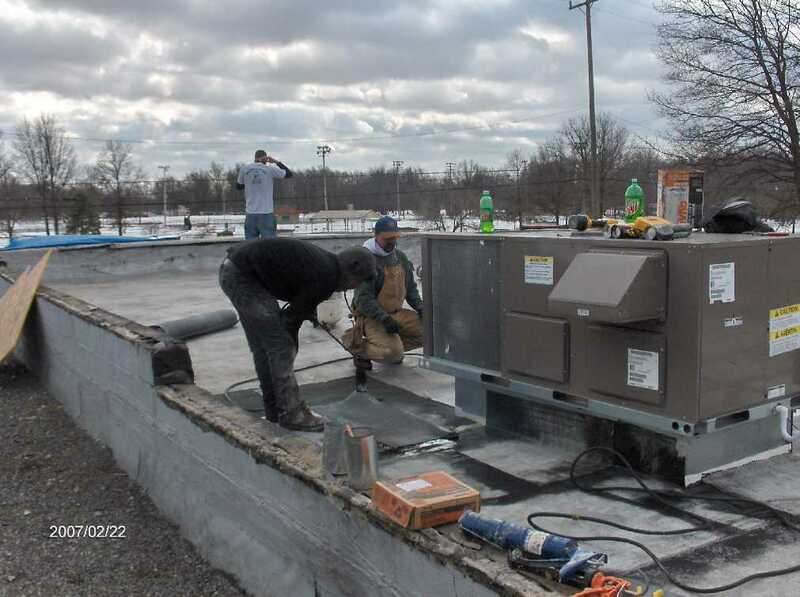 During the upgrading of the store which included converting it from two stores into one store, it was discovered that the West end store needed reroofing. The part that was the store on the West end has a torched down roof and is being reroofed by Steve Travis' S A Home Improvement Company. On the East side there is bitumen ballasted roof that at the moment is in good shape. 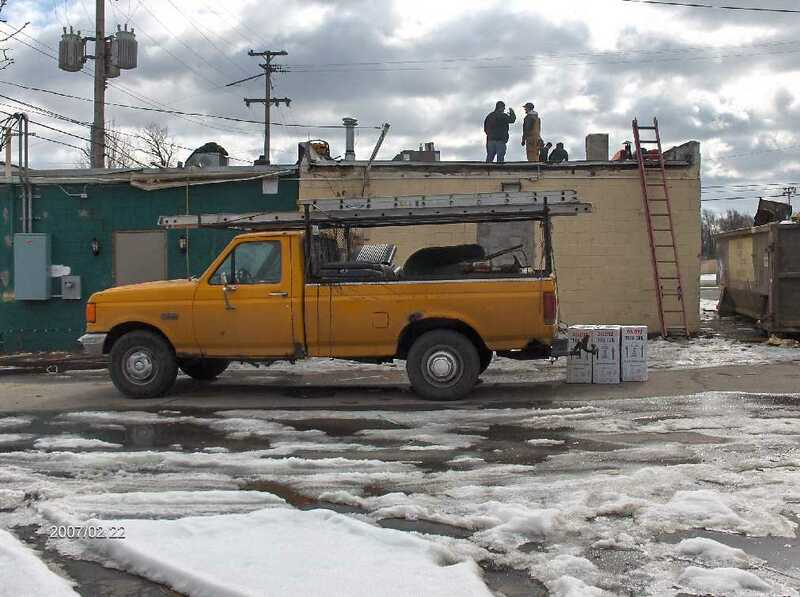 The original West end and East end stores have a dividing wall above the roof -- so it was easy enough to reroof the West side without disturbing the roof on the East side. Here are some pictures showing the torched down roof work in progress. In the picture here are Dave to the left, Steve Travis, and Will in the backgound. 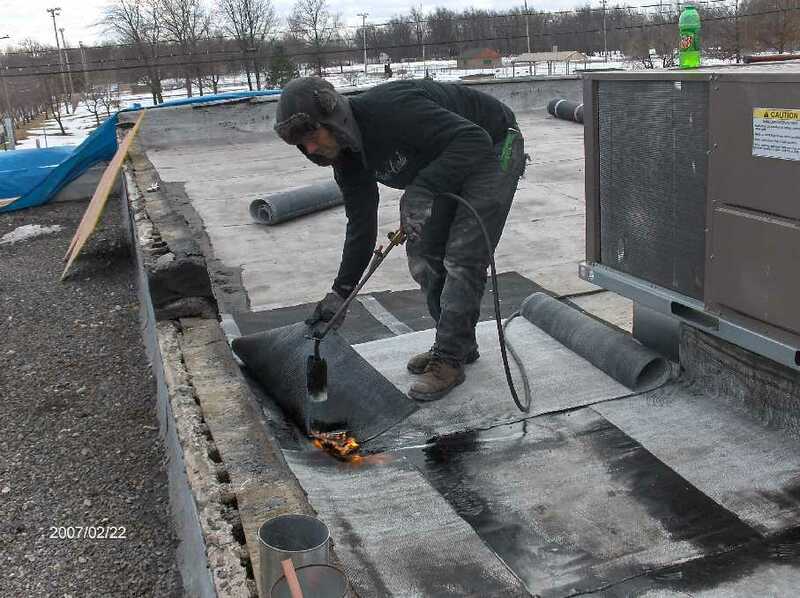 Here is a shot of Dave working on the torch down roof and to the left (East) side we see the area with the bitumen ballsted roof.